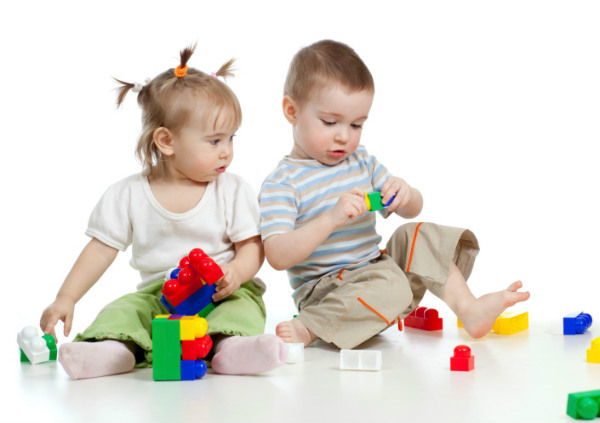 Blue for boys and pink for girls – yep, the building blocks of gender stereotyping start even before birth. 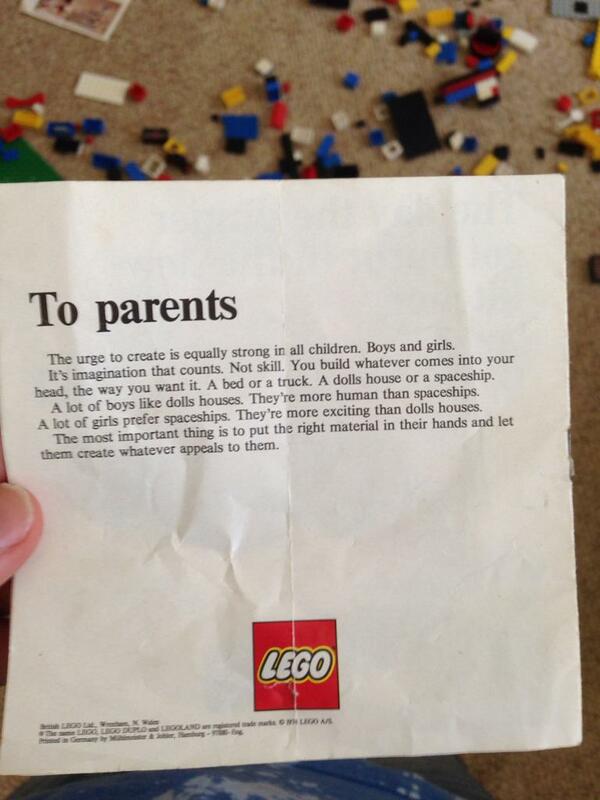 Perhaps that’s why a 1970s note to parents from Lego has struck a chord across the world after it resurfaced four decades later. 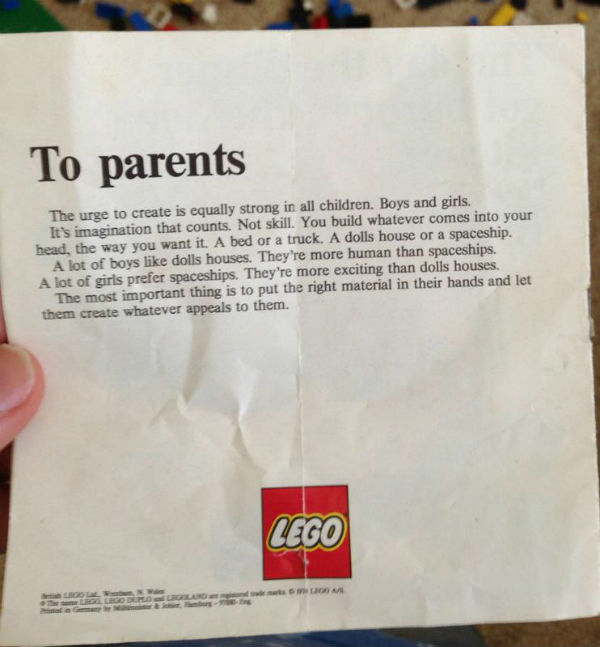 We like to think we’ve come ahead in leaps and bounds when it comes to gender equality in recent years, but the letter from a 1974 Lego box set shows the much-loved toy company was miles ahead 40 years ago. User fryd_ posted the note to social media network Reddit on November 23, saying he had found it while playing with his niece and nephew at his partner’s Grandma’s house. “To parents,” it says, “the urge to create is equally strong in all children. Boys and girls. It’s the imagination that counts. Not skill. You build whatever comes into your head, the way you want. A bed or a truck. A dolls house or a spaceship. Lego later confirmed the letter was authentic, telling The Telegraph it was part of a pamphlet showing a variety of dollhouse products. “It remains relevant to this day – our focus has always been, and remains, to bring creative play experiences to all children in the world … to build and create whatever they can imagine,” spokeswoman Emma Owen tells the paper. 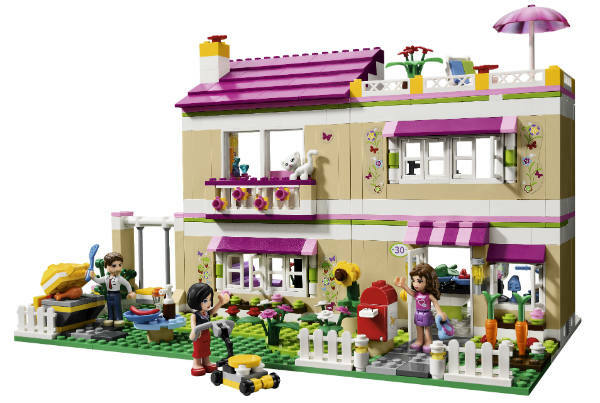 Ironically, Lego has come under fire in recent years for introducing its pastel Friends line – aimed squarely at girls – after research found 90 per cent of the iconic brand’s users were boys. But according to Yahoo the gamble paid off, with Friends tripling the number of girls using Lego. Fryd_ commented that “it seems like we’ve taken a step backwards” since the letter was written, but many others disagreed in a spirited debate that attracted more than 2200 comments in just four days. One thing we can agree on is the sentiment in the letter – that it’s all about fostering imagination and creativity in our kids, whatever they choose to play with. My four-year-old daughter is obsessed with pirates and was devastated when a young male friend told her she shouldn’t play with them because they were “for boys”. Yet I do find that I tend to give boys gender-typical presents (Lego included). How about you? For more news on all things Lego, check out our archives.